It’s true that kettlebells are a great way to boost your strength and power, but as you become stronger, you’re going to need a heavier kettlebell. This can get pretty expensive, as the heavier ones can cost you up to several hundred dollars! What if we told you that there was a way that you could make your own DIY kettlebell for very little money and you can make it as light or as heavy as you want? Keep reading to find out how to make your own kettlebell and jump start your workou﻿﻿﻿﻿﻿t. The handle of these kettlebells are going to be made from PVC piping that has been heated up and bent into a handle shape. Use a hacksaw to cut the PVC into 26” length and use duct tape to cover the opening of the pipe. Fill it with the sand and then seal the opening of the PVC with more tape. The sand is going to help the PVC keep its shape when it’s been heated and shaped. We recommend that you use 3/4" PVC for kettlebells weighing under 20 pounds. Use the 1” PVC for heavier weights. Once the pipe has been filled and taped off, heat it up with either a heat gun or an oven (350 degrees for 10 minutes usually works). Once it is pliable, shape it into the kettlebell handle shape. Make sure you use an oven mitt or other heat resistant gloves so that you don’t get burned. Once it has cooled, if you don’t like the shape you can always reheat it. We do recommend that you use a tinfoil covered baking sheet if you are going to bake the pipe in the oven. Once your handle is complete, you will cut the ball open wide enough so that the handle can sit halfway in the ball. This ball is going to act as the mold and filled with concrete. You will want to cut a slit so that the handle fits. Then, create two circles at either end of the slit, as this is where your handle will be. The slit is going to be where you are going to pour the concrete in and the flaps will cover up that concrete when it is all dry. Now that your ball has been cut and fitted for the handle, now you are going to want to fill the ball with concrete (follow the directions on the packaging). Use the garden spade to fill the ball and put your handle inside. Press gently on the bottom of the ball so that it is flat. Adjust the handle so that it is to your liking and that it is nice and straight. Wipe down the ball to remove extra concrete from the outside. Leave it sit for approximately 24 hours. Wipe it down again and then bam! 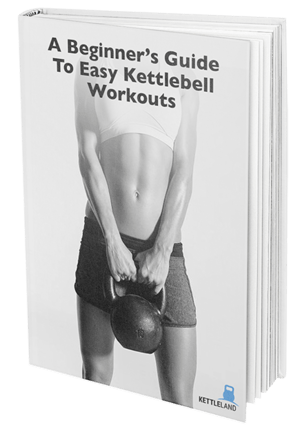 You can start using your homemade kettlebell!